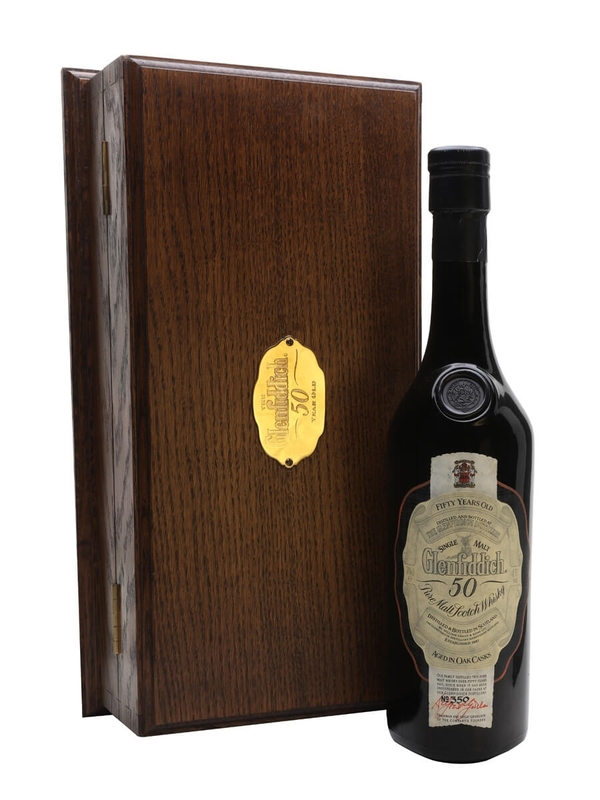 Bottled in 1991 in a limited edition of just 500 bottles, this whisky came from a batch of nine casks laid down in the 1930s (one cask was laid down for each of William Grant's nine children, who had helped to build Glenfiddich distillery in the 1880s). The whisky itself is one of the most amazing 50 year old whiskies ever to be released from any distillery and we actually like it more than the current version. It has an elegant, complex palate of subtle dried fruit flavours all beautifully balanced with wood spice, absolutely stunning !! It taste like being kissed by God.